The story: Forget all the ways X-Men Origins: Wolverine fucked up Wade Wilson’s character. The timeline change at the end of X-Men: Days Of Future Past gives Deadpool a brand-new beginning in the XMU, and it’s one that is far more in sync with the crass, wise-cracking comic-book version of the merc with a mouth. 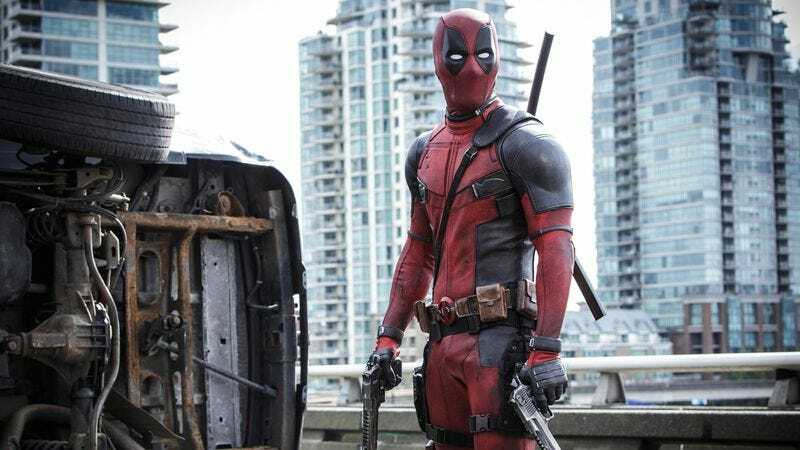 Deadpool opens in medias res with the titular antihero punching, kicking, slicing, and shooting through armed goons as he makes his way toward the man who tortured and disfigured him. Flashbacks interspersed throughout the first act jump away from the carnage to show how the disgraced ex-special forces soldier Wade Wilson becomes the superpowered Deadpool. Wallowing away working low-grade mercenary jobs, Wade finds meaning in life when he meets Vanessa and they fall in love, but his late-stage cancer diagnosis puts a kibosh on their romance when Wade leaves Vanessa to explore an experimental treatment that would cure him and make him a superhero. Wade is subjected to various types of grueling torture when he becomes Ajax’s lab rat, and while this process does eventually trigger a healing mutation in Wade that eliminates his cancer, it also leaves him severely disfigured from head to toe. Wade vows revenge when he escapes, and he silently stalks Vanessa while tracking down Ajax, staying out of sight because he doesn’t want her to see his new appearance. (He also starts living with Blind Al, an older woman he met at the laundromat.) Wade’s path of vengeance leads to the action scene that opens the movie, but the X-Man Colossus and his student, Negasonic Teenage Warhead, interrupt Deadpool right when he has Ajax in a compromising position. The villain escapes and kidnaps Vanessa, and Deadpool joins forces with Colossus and NTW to take out Ajax and save the damsel in distress in a CGI-heavy finale because that’s just what superhero movies do. Ajax gets a bullet in the brain and Deadpool gets the girl at the end of the film, leaving audiences with a tableau of Wade and Vanessa making out in wreckage while Wham!’s “Careless Whisper” plays in the background. Noteworthy events: Deadpool is the first R-rated XMU release. The post-credits sequence reveals that the grizzled mutant commando Cable will be appearing in the sequel, and it will be very interesting to see how Deadpool 2 tackles that character’s extremely convoluted backstory.